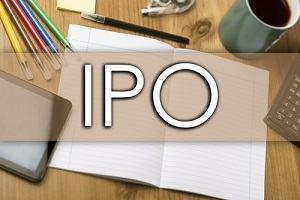 For the second week of October, we have four companies expected to go public on our upcoming IPOs calendar. These four companies could raise a combined $768 million, according to Renaissance Capital, a manager of IPO-focused ETFs. Three of the upcoming IPOs this week are in the energy sector, and one is in the communication sector. In terms of potential deal size, Extraction Oil & Gas (Nasdaq: XOG) could be one of the biggest upcoming IPOs for the rest of the month. According to CNBC, the Colorado-based company could raise as much as $600 million, which would value the company at roughly $2.6 billion. XOG is a domestic energy company that focuses on the exploration and production of gas and oil reserves in the Rocky Mountains. The company was created in 2012 and forms strategic joint ventures and focuses on high-quality acreage acquisitions as part of its growth strategy, according to its website. The company booked $215 million in revenue between June 30, 2015, and June 30, 2016, according to Nasdaq.com. Extraction Oil will price shares between $15 and $18 in its 2016 IPO. This IPO was scheduled for early September, but Full Spectrum (Nasdaq: FMAX) has yet to offer FMAX stock to the public. It's still on our upcoming IPOs calendar as going public this week, even though it could once again be delayed. Founded in 2016, Full Spectrum provides solutions and products in the growing market of cellular networks that are private. Full Spectrum plans to sell shares between $7 and $9. Mammoth Energy Services (Nasdaq: TUSK) provides drilling and related services for North American gas and oil explorers. Even though Mammoth was just founded in 2014, it had $243 million in revenue between June 30, 2015, and June 30, 2016. Mammoth planned to offer an IPO in 2015, but the company wanted to wait for commodity prices to improve, according to Law360.com. You see, oil prices have been very volatile over the last several years, as OPEC members excessively produce crude oil. 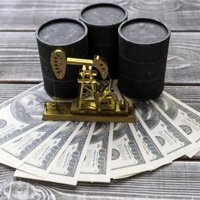 Editor's Note: Find out what the Algiers deal means for crude oil prices from Money Morning Global Energy Strategist Dr. Kent Moors. But market conditions seem to be improving, as OPEC has seemingly reached an agreement to cap excessive production. This agreement could restore the balance between supply and demand. Mammoth plans to raise $128 million by selling shares between $15 and $18 per share in this week's upcoming IPOs. Azure Power Global (NYSE: AZRE) sells long-term fixed contracts for solar power in India, and Azure developed India's first utility scale solar power project in 2009. It sells energy to government utilities, commercial customers, and independent industrial companies. Azure's integrated profile allows it greater control over projects, which provides Azure with greater insight and certainty on construction costs and timelines, according to its website. Azure plans on raising $75 million, and the solar power provider plans to sell 3.4 million shares between $21 and $23 per share.